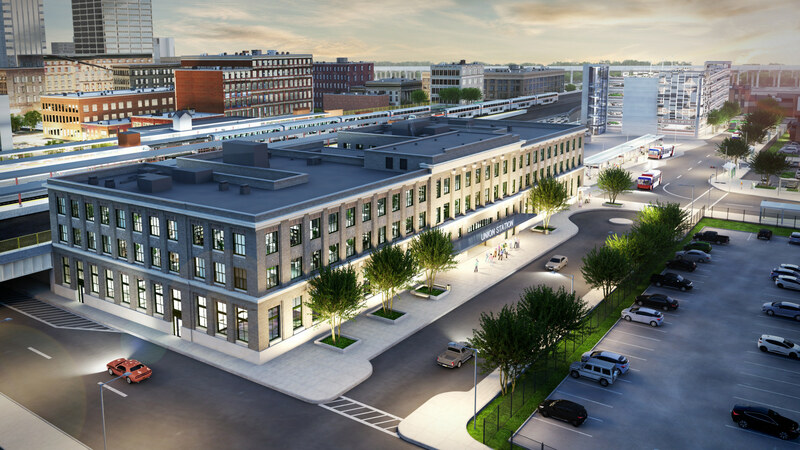 The historic Springfield Union Station complex has been rebuilt and converted into a mixed-use intermodal transit terminal, serving Amtrak and the Pioneer Valley Transit Authority (PVTA), Peter Pan Bus Lines, and Greyhound. The $84.5 million project integrates multiple transit modes (passenger rail and bus) in one convenient, functional, and attractive mixed-used complex. 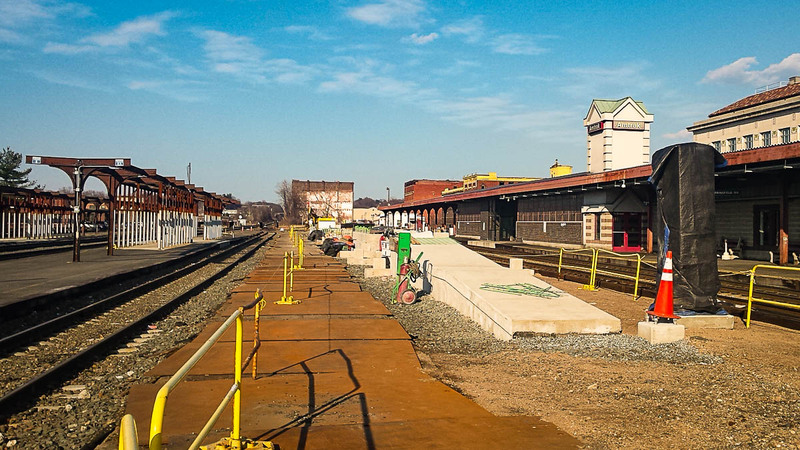 The complete renovation of the historic Terminal Building and its central concourse to support ticketing, waiting, and support areas for Amtrak, intercity, and future state-supported regional rail service as well as PVTA and intercity bus operations. 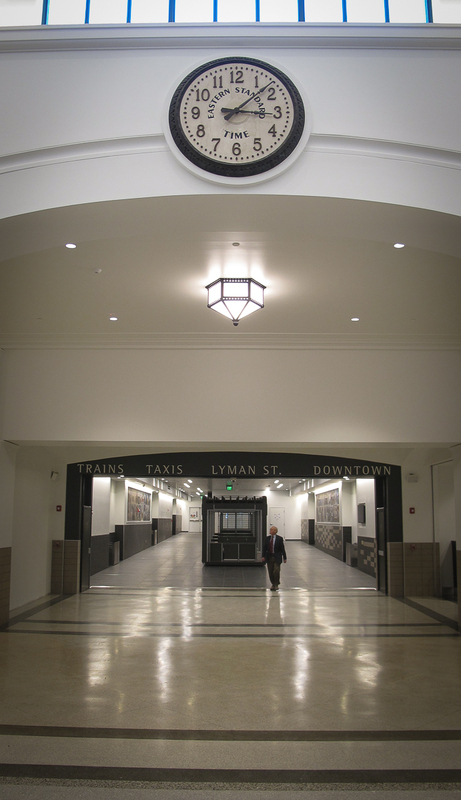 The renovation and reactivation of the passenger tunnel linking the terminal building to train platforms and the adjacent downtown area. Demolition of the former railroad baggage handling building and construction of a 26-bay integrated open-air regional and intercity bus terminal and a six-level 377-space on-site parking garage. Opening up of 64,000 square feet of commercial space on the upper floors of the Terminal Building. 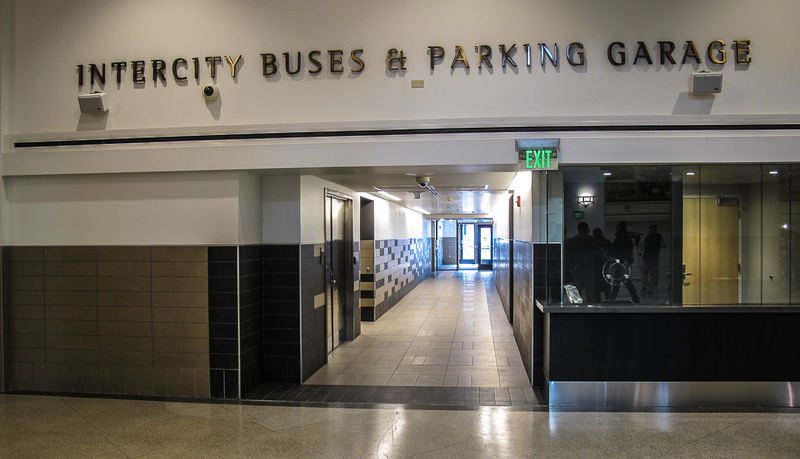 The Union Station Transportation Center opened to the public on Sunday, June 25, 2017 when the Pioneer Valley Transit Authority moved their Springfield hub into the center. For the moment, Amtrak’s passenger operations (ticket office and waiting room) continue to be located in its historic location at track level. No date has been announced when they move their ticketing and waiting area into the renovated main hall at the station. The MassDOT Capital Improvement Plan includes funding for the construction of a high-level platform at the station. The new platform will replace the existing low-level Platform C (between tracks 4 and 6), which is shown in the image below.